Help Id-ing wheels (fake Enkei?) - Miata Turbo Forum - Boost cars, acquire cats. I picked up a basket case Miata this weekend, trying to sort things out. One is the wheels, tire size 205/40-17. Center cap says Enkei, but they don't really look like any other Enkei rims I can find online. Anyone recognize these at all? Thanks! That looks like them. 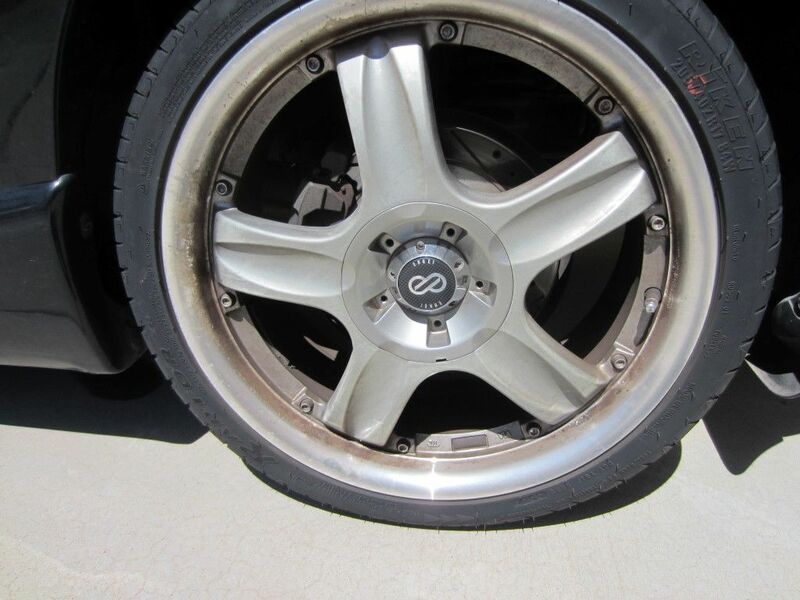 Pretty old rim I'm guessing based on random google searching. I used to run those wheels back when I still played with Hondas. Sell those and pick up some 15s for your Miata. Pretty ugly rim, based on randomly clicking this thread and looking. they remind me of an uglified version of the MSM wheels. Hey guys! New to the page!